On the boat mps Regina Andrea you can take a trip from Harlingen on the Wadden Sea to the seal on the sandbank. Want a memorable experience and an indispensable activity ? then take the Phoca Waddentrip. During this 3 hour round trip, you run across the bottom of the sea at low tide, catch the shrimps in a net, cook them, peel them and enjoy eating them. At the Seal crèche in Pieterburen, you can experience for yourself everythong in the nursery. 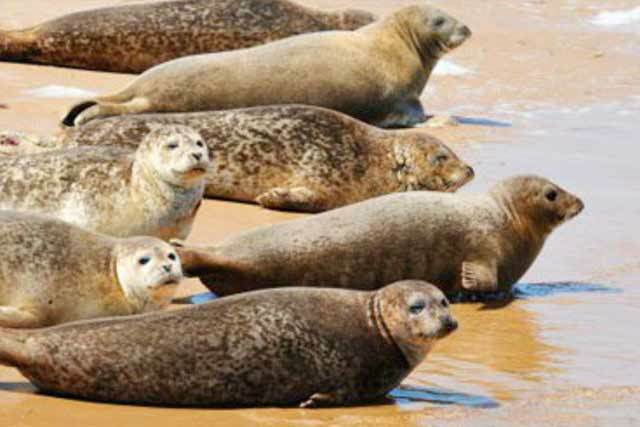 You can see the seals in person and find out more about them.